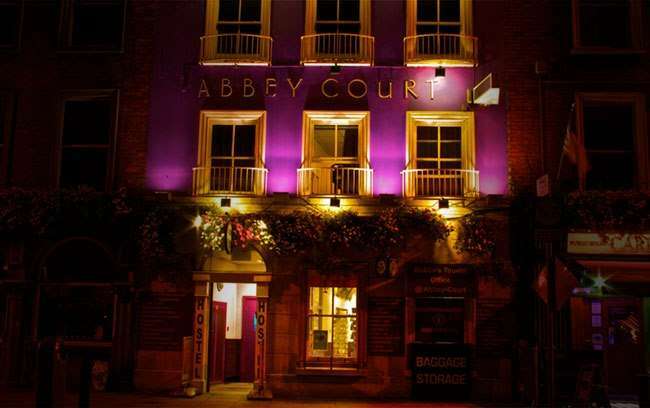 We think Abbey Court is probably the best located hostel in Dublin. Standing tall over the river Liffey next to O' Connell Street and bridge, the intricate paintwork of the exterior is indicative of the funky style throughout this deceptively large hostel. With an almost maze-like, yet easily navigable, corridor system stretching from the front of the building to the back, each floor has fantastic surprises springing up such as a chilled out hammock room, well stocked games and cinema room, a vanity area reminiscent of a stylish 50's Hollywood dressing-room, a really well decked out & characteristic bar area complete with piano, and a nice sheltered smoking area. 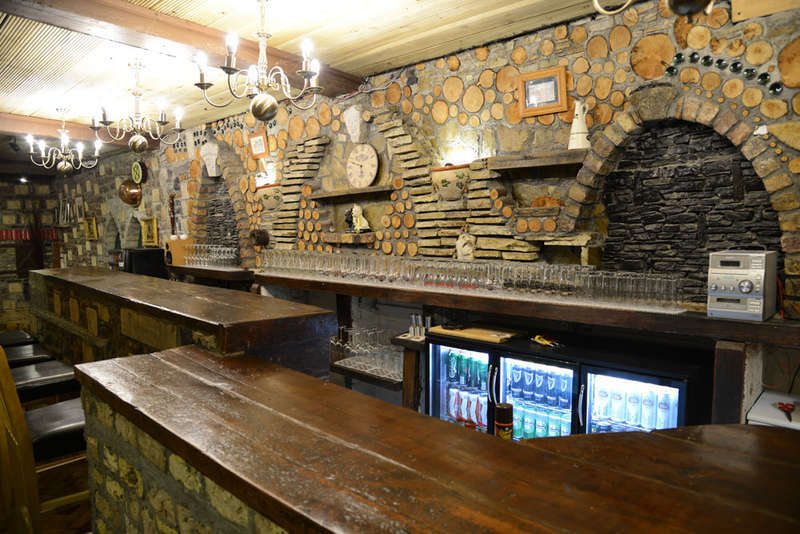 Their dining areas flank their self-catering kitchen and makes for a vibrant social atmosphere come dinner time. The staff are friendly and happy to give recommendations & advice and there's even a pick-up service from reception for the free walking tour which begins nearby. Handy. 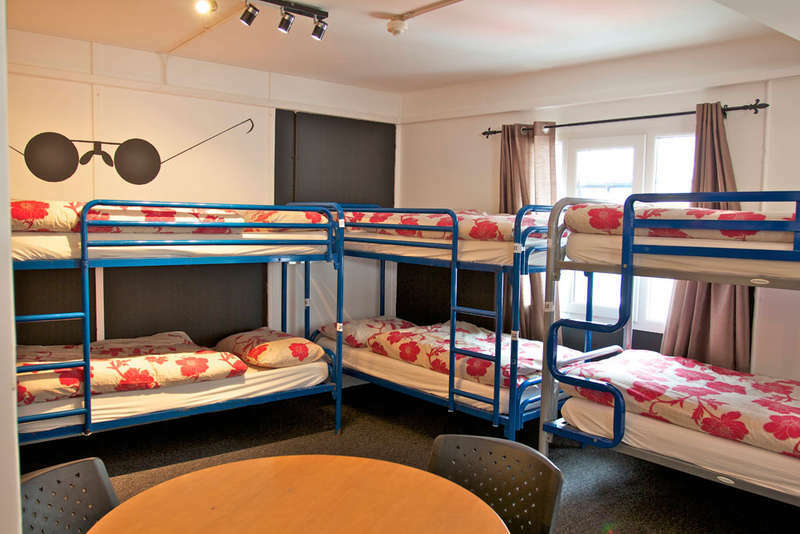 For groups of 6 people and above we require a noise and damage security deposit which will be refunded upon departure.